We’d love your help. Let us know what’s wrong with this preview of Search for the Golden Serpent by Luciana Cavallaro. What if you’re born during another time grew up in the 21st century and thrust back into the past? Confused? So is architect, Evan Chronis. Evan drawn by screams ventures out to his backyard and sees blood trickling down the limestone steps. He steps off the veranda and finds himself in the days of great and marvellous power, a time wh It’s not where he appears, it’s when. Evan drawn by screams ventures out to his backyard and sees blood trickling down the limestone steps. He steps off the veranda and finds himself in the days of great and marvellous power, a time when the gods ruled the universe. To ask other readers questions about Search for the Golden Serpent, please sign up. This book introduces you to Evan Chronis, architect. He has strange and suffocating dreams - way too realistic for comfort. And how does he get his life back? With Search for the Golden Serpent, Luciana Cavallaro has created a well-crafted suspense story that takes a modern architect into the past and/or mythology - against his will. It is a very compelling read that draws you close to Evan and his quest. Luciana Cavallaro introduces the characters with care, integrating them in the plot, you wan This book introduces you to Evan Chronis, architect. He has strange and suffocating dreams - way too realistic for comfort. And how does he get his life back? With Search for the Golden Serpent, Luciana Cavallaro has created a well-crafted suspense story that takes a modern architect into the past and/or mythology - against his will. It is a very compelling read that draws you close to Evan and his quest. Luciana Cavallaro introduces the characters with care, integrating them in the plot, you want to find a possibility to help Evan reach his goal. Evan is believable, determined, and has a strong sense of justice. As the journey begins, the story reaches a steady yet fast-paced flow. Be prepared for some complex characters, surprising events and revelations, and for an adventurous journey into Greek mythology. The author's passion for history and writing shows - I had a great time reading. I am looking forward to reading the next book in the series. This is a book for you if you like mythology, fantasy stories with believable characters, and if you appreciate excellent story-telling. In Luciana Cavallaro's Search for the Golden Serpent (Mythos Publications 2015), Evan Chronis (aka Evandros by the Greeks), a world-class architect, has built his business on a foundation of always finishing projects on time and on budget. When he is contacted by Zeus to save Mount Olympos (no spelling error), he thinks someone is playing games with him. When he passes out and wakes up almost twenty-five hundred years in the past, a time when the Olympian gods ruled, he is sure he's being fooled In Luciana Cavallaro's Search for the Golden Serpent (Mythos Publications 2015), Evan Chronis (aka Evandros by the Greeks), a world-class architect, has built his business on a foundation of always finishing projects on time and on budget. When he is contacted by Zeus to save Mount Olympos (no spelling error), he thinks someone is playing games with him. When he passes out and wakes up almost twenty-five hundred years in the past, a time when the Olympian gods ruled, he is sure he's being fooled with. He argues and rants with the being who calls himself Zeus but finally has no choice but to accept that this creature has the ability to reach across time and force him to do his will. Zeus will not return Evan to his modern world until he finds a mythical relic that, when united with several other pieces, will save the gods. Zeus also drops a bombshell on everything Evan thought he knew about his life. Evan finally agrees and sets off with four others on a journey that takes them throughout the ancient world, authentically through the towns and seaports, deep into the cultural norms of people now long gone. As we travel with Evan, we live the Greek myths that to modern man are simply folklore. Every scene rings with truth as though the author was there. All the while, I was thinking, "Why can't it be me rather than Evandros?" And be prepared for a big surprise at the end of the book. This is highly recommended to anyone who loves learning about life in Ancient Greece and the part played by the gods in Greek lives. You can't experience this any more real than what Cavallaro reveals. I’ve read quite a few of Luciana Cavallaro’s previous works so I was pretty excited to read Search for the Golden Serpent. The only problem was that she had previously only published short stories and I was a little worried about how she would transition into longer works like this one. After all, a 354 page novel is not the same as a 40 page short story. Still, I was more than ready to give her a chance. In the end, I honestly didn’t even need to worry in the slightest. Her debut novel is just as good as her previous short stories, even better in many ways. Evan Chronis is a very memorable character. In the modern world he’s a successful architect who absolutely adores his job. Then Zeus decides that he’s needed back in his real time: the early years of ancient Greece, after the sinking of the mythical Atlantis. I don’t know about you but being immersed in the modern world and suddenly being contacted by a god who drops you in the ancient world would be a little jarring to say the least. Evan, understandably, really doesn’t handle it all that well in the beginning until he begins to speak the language and make friends. But poor Evan, called Evandros in his own time, doesn’t ever really get a break: Zeus and the other gods have sent him on a mission to recover powerful artifacts to prevent their eventual fading into historical fiction in the modern era. He really does have a remarkable physical journey but also a mental and emotional one. When he goes back to the past he fights it tooth and nail, desperate to go back to our own time. However, when he realizes that his only option is to recover the artifacts he throws himself fully into the task. In the beginning Evan is also a little arrogant in his own way, utterly convinced that the people in the past are more primitive and somewhat inferior. Yet through his journeys he tends to appreciate them a little more and realize that many ancient cultures had more accomplishments than just their fantastic architecture. And when he befriends Phameas on the ship that rescues him and is forced to learn an entirely new language in a very short time, it sort of humbles him. He learns a lot on his journey and it was really interesting to see how his character changed throughout the course of the novel. One of the things I absolutely loved is that Luciana Cavallaro has clearly done her research. She so vividly describes past cultures that we very rarely read about in historical fiction that you feel like you’re really there. From the streets of Carthage to the temples of ancient Egypt and a ship from Phoenicia, you will feel totally immersed in the world of the ancient Mediterranean. It’s brilliant because it shows old empires like Egypt and contrasts it with the rising might of the Greeks. It’s so rare in historical fiction to get a more international picture like this one and it’s a real treat to have it handled by an author with such a passion for history. Obviously Evan and his group are fiction but many of the main events and where they occurred are real. It’s absolutely fascinating and I’m not really doing it justice with this description. The plot begins a little slow but that’s quickly remedied as Evan is contacted by Zeus and is forced to become Evandros, the version of himself that was raised solely in the past instead of just being born in it. I suppose some people will find Evan’s period on the Phoenician ship a little boring but I really enjoyed his adjustment period as he learned more about the world he was suddenly dropped into. It helps that Evan’s point of view is interspersed with scenes with the gods, who are more than a little worried about their fate as well as scenes with the rest of his crew, who are understandably wondering where the Evandros they knew and loved has gone and whether or not he’s even alive. By the time I got to the end of the book I was on the edge of my seat, anxious to see what would happen next. The ending was a cliffhanger but it was a good place to stop and it was a fairly satisfying end. It made me want more but I had fewer questions than when I started out. Luciana Cavallaro really has a gift for making you care about her characters and their fates even if you don’t necessarily think they’re sympathetic or likeable. That much was obvious from her short stories but she really transitioned into a longer work really well. The beautiful descriptions that were the hallmark of her short stories for me are expanded and add so much more to the richness of the world she brought to life. So if you loved Cavallaro’s short stories, you will also love Search for the Golden Serpent. And if you’re never ready anything by her, you need to pick up one of her short stories and/or pre-order a copy of her debut novel. You certainly won’t regret it. Caveat, the author very kindly sent me a free advance copy of her book for me to review. I loved it so much I have since purchased my own copy to support the author and I'll probably also buy the printed version when it hit stores and read that as well because I have found there is a vast difference between electronic and paper reading. Love of Greek myth was my very first love, thanks to a wonderful English teacher in grade 4 that made the stories come alive, I have always been fasc Caveat, the author very kindly sent me a free advance copy of her book for me to review. I loved it so much I have since purchased my own copy to support the author and I'll probably also buy the printed version when it hit stores and read that as well because I have found there is a vast difference between electronic and paper reading. Love of Greek myth was my very first love, thanks to a wonderful English teacher in grade 4 that made the stories come alive, I have always been fascinated by mythology, be it Greek, Roman, Norse of whatever. But to me the tales of the Ancient Greeks was always first and foremost. I can still recall, as a boy watching the handful of Ancient mythology movies in the 1960s and 70s on the subject , with their admittedly craptasic special effects because, hey it was all we had. These days we are spoiled for choice with countless really good movies set in the days of the glory that was Greece and the grandeur that was Rome, as well as Ancient Egypt, Minoa, Atlantis, you name it. The Golden Serpent by Luciana Cavallaro has somehow taken me back to my early days and has not so much simply weaved a fantastic story around the Gods, people and places I am familiar with through books films and my love of Ancient history, but she has somehow immersed me within the very tale she has written. I found myself almost a spectator of the story, watching the scenes unfold as I read, with indescribable joy. Yes it is THAT good a book, and I am by no means overstating how very much I loved it. This is the best thing I have read in a very long time, and as The Search for the Golden Serpent is book 1 of the Servant of the Gods series, I cannot wait for each and every future release. But on this book, Search for the Golden Serpent is less a book but an adventure you may just find yourself in if you are not careful. More than simply another fantasy quest novel, The Search for the Golden Serpent crosses time itself, from the present day to the past and back again, and back again. All your favourite (and maybe not so favourite) Greek Gods, demigods etc are here, with their very human traits of honour, jealousy, anger, revenge, you name it. But there are also sub plots, some courageously constructed. This book has elements I have never seen before. The dust jacket blurb of The Search for the Golden Serpent introduces the protagonist of the novel right away, Evan Chronis, architect, who has a chronic sleeping problem. Unlike most of us Evan's problem isn't that he can't sleep, or constant electronic distractions of the modern day that keep him awake, but that his dreams are so vivid they feel real. It is through his dreams that Evan finds a connection to the distant past. So, what if there is an element of reality in his very dreams. Yeah, what if? Evan finds himself (and you the reader will as well) transported back to a time of Gods and mortals, familiar Ancient places and cultures. The Gods have a mission for Evan and he and some new found friends must complete it if he is ever going to make it back to the only home he has ever known. In fact, if they fail, EVERYTHING changes. So well constructed is this novel I often found myself experiencing every event along with the main characters. It felt to me as if I heard and saw every ocean wave upon the bow of ships, the sound of every sea bird, every strain of taught ropes against wind filled sails, every clash of sword upon sword, the sights and sounds of delicious banquets, and the majesty of palaces and temples as the scenes flowed through them. Luciana's descriptions of the events and times is simply majestic, the action flows constantly from one event to the next and her very likeable characters almost leap of the page. Many times as I read I was almost seeing the action with my mind's eye as if it were an amazing film adaptation of the book, and if that ever does happen I can only hope she writes the screenplay. I was riveted to the story as if I was hearing Homer himself recount it. My only thought upon finishing this book (apart from the NEED to re-read it immediately because I had to hold myself back from reading so quickly that I was worried I would miss something) is wondering what fascinating events happen next, and whether Evan's friends are able to complete their almost impossible mission. Search for the Golden Serpent is an historical, mythological, fantasy quest on an epic scale. Evan Chronis is a present day architect with a fascination for ancient buildings, civilisations and cultures. When his life unexpectedly involves him with the ancient Greek gods the reader is taken with Evan (or Evandros as he is known in ancient times) on a quest to rescue crucial artefacts that are needed by the gods to save their mythological civilisation. The plot is completely plausible. Fantasy and Search for the Golden Serpent is an historical, mythological, fantasy quest on an epic scale. The plot is completely plausible. Fantasy and reality meld seamlessly with mythology until the reader is immersed in a world of times long past urging Evandros to step up, take command and do whatever is necessary to save the day. I was confident that Search for the Golden Serpent would be well written. Luciana Cavallaro has already demonstrated in Accursed Women her ability to tell a tale, sustain the reader's engagement from start to finish and keep the pages turning. However I did wonder how she would get on with a full length novel after writing shorts. The answer is she gets on really well and she's brought all her talent as a writer of short stories into this her first full length novel. The complex plotting, the fully developed characterisation and the beautiful descriptions of places, people and cultures are a delight to read. Evan / Evandros is an intriguing main character who provides a commentary on the narrative as the story unfolds which helps the reader to know him better but also contributes to the evolving acceptance of this fantastical tale. There is also a Greek chorus of commentary from the lesser gods as the relationship between Evan / Evandros and top god Zeus plays out. The cast of supporting characters are drawn from the present day, from ancient history and from mythology. Right from the start the reader is drawn to the characters and wants to know them better. The author has the ability to make the reader care what happens to the characters and the epic scale of this novel means that there's plenty of scope for the development of relationships and for those relationships to be put to the test. Search for the Golden Serpent is a thoroughly enjoyable fantasy quest novel which really works but the novel is made extra special by the wonderful background detail that the author has woven throughout the story. As the reader accompanies Evan / Evandros and the other characters from one ancient place to another their world comes alive. Luciana Cavallaro's passion for Ancient History and Mythology permeates every page of this book and she paints verbal pictures of the changing scenes that are vivid and detailed. If you've already read and enjoyed any of the stories in Accursed Women you're sure to love this new book from Luciana Cavallaro. I really enjoyed reading Search for the Golden Serpent and recommend it highly. 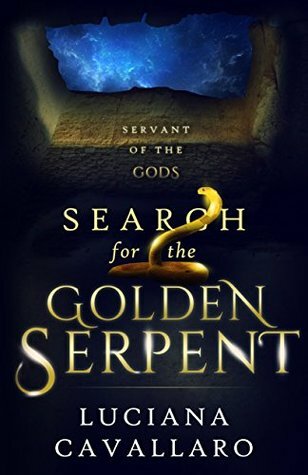 The Search for the Golden Serpent, by Luciana Cavallaro, is the first novel in the series entitled, “Servant of the Gods.” This is a tale of a modern-day hero who time travels to ancient sites such as Atlantis, Thebes, and Pylos. Evan is a multilingual Australian architect who has reoccurring nightmares of an ancient shipwreck. One day in his office, he receives a telephone call from Zeus and is teleported to Mt. Olympus where he is introduced to the Family, a pantheon of gods and goddesses. The The Search for the Golden Serpent, by Luciana Cavallaro, is the first novel in the series entitled, “Servant of the Gods.” This is a tale of a modern-day hero who time travels to ancient sites such as Atlantis, Thebes, and Pylos. Evan is a multilingual Australian architect who has reoccurring nightmares of an ancient shipwreck. One day in his office, he receives a telephone call from Zeus and is teleported to Mt. Olympus where he is introduced to the Family, a pantheon of gods and goddesses. The Father of all Gods, Zeus reveals he had transported Evan forward in time to learn the skills necessary for a quest to prevent his Family’s demise in favor of the one god heralded by Moses. Little by little in dreams, Zeus reacquaints Evan to his former life on Atlantis where he is called Evandros. Zeus calls upon Evan to recover the sacred relics of the Mother Goddess and restore them on Atlantis to prevent the destruction of this civilization and the demise of the Family. Zeus gives Evan a writing tool to record his adventures and a mystical sword and shield. Unwilling to accept these visions are real, Evan consults physicians to determine if there is something physiologically wrong with him. But when Evan is transported back in time to the ship wreck from his dream, he reluctantly begins an odyssey in 1500 BC to recover the first relic of the golden serpent. The story unfolds as an epic hero’s odyssey where Evan (Evanos) must travel to various ancient civilizations and overcome trials in his quest to find the golden serpent. He is accompanied by a Phoenician, a boy oracle, three Atlantean warriors and a high priestess. Ancient civilizations and cultures come alive with rich detail as seen through the eyes of a modern-day architect. Not only is this an action-packed adventure, but a reader will learn more about ancient history and mythology. I highly recommend reading this novel that not only whisks you away into adventure, but it also vividly shows the mystique of ancient civilizations and religions. This novel is particularly a delight for those who love mythology and the hero’s adventure. 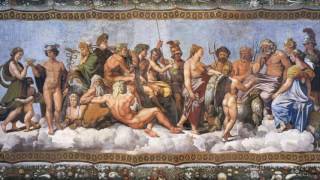 Imagine the past in which thousands of years ago immortal gods with supernatural powers controlled everything from the weather to the transformation of mortals, the time of the Atlanteans, children of the Olympian gods. But what had become of the Greek gods? Evan Chronis, a 21st Century architect, finds out the hard way when the gods transport him back to a time when they ruled the universe. They tell Evan that he must carry out a dangerous mission of finding powerful artifacts, sacred relics of the Mother Goddess. Harnessing the power of the relics will ensure that the legacy of the gods be kept alive throughout the modern era. Evan reluctantly accepts the challenge, as completing the mission is the only way he’ll get to return home to the 21st Century. SEARCH FOR THE GOLDEN SERPENT is a game of survival and adventure, a rich and complex world filled with fantastic, well-developed characters with dimension and depth. The story has plenty of drama with gods and goddesses. And Evan Chronis, a man used to living in a safe, manufactured world has a difficult time excepting his new reality. But eventually, the journey he goes on becomes a course of discovery and growth as he rises admirably to a challenge beyond his experience. Luciana Cavallaro’s passion for ancient history reflects in her vivid descriptions of ancient times and its people. The high-stakes narrative moves forward with momentum and the story arcs grow and intersect in satisfying ways. Cavallaro is a writer of wide range, combining action and adventure, intriguing plot, and a wonderful variety of characters. SEARCH FOR THE GOLDEN SERPENT is Book 1in the Servant of the Gods series and therefore ends with a cliffhanger, but one that satisfied my curiosity and left me fulfilled. One day architect Evan Chronis goes into his back yard and finds himself back in time. Way back in time. He is not in the 21st century anymore he is in a time when the Gods ruled the earth. Soon he learns if he wants to go back home (to modern time), he must risk his life in search of treasured relics for the Gods. What he finds is much more than he expected. Will Evan find the relics and return home? Or will he be stuck in ancient times forever? A well written fascinating story. I really Liked Evan. I also liked the Gods incorporated into the story. I am a huge fan of mythology, so adding legendary Gods added so much pizzazz to this already compelling story. There is adventure, action, danger, drama, secrets revealed, everything that makes a great story. Learning more about Zeus and the other Gods added more excitement. I loved watching Evan on his mission, making friends, trying to fit into a different time. And of course the suspense and waiting to find out how it all turns out in the end. I’ve read “Accursed Women” by Ms. Cavallaro, and absolutely loved her fresh, lovely writing style, so I wouldn’t miss a chance to read this one. But I could never imagine what a ride the author would take me on this time! First of all, I loved the whole time-travel aspect, it helps the readers easily connect with the protagonist, Evan, who gets thrown back in time and is given a dangerous task by ancient Greek gods themselves. The character development is magnificent, from the point of Evan thin I’ve read “Accursed Women” by Ms. Cavallaro, and absolutely loved her fresh, lovely writing style, so I wouldn’t miss a chance to read this one. But I could never imagine what a ride the author would take me on this time! First of all, I loved the whole time-travel aspect, it helps the readers easily connect with the protagonist, Evan, who gets thrown back in time and is given a dangerous task by ancient Greek gods themselves. The character development is magnificent, from the point of Evan thinking that there’s something psychologically wrong with him due to his reoccurring nightmares, to his gradual accepting of his situation in the ancient times. The story flows very naturally and at a fast pace, which makes this action packed story a true page turner. And the immense work the author did concerning the research is obvious in every vivid description, every new discovery Evan makes, and the ancient world as a whole. Fantastic work, and I’ll be certainly looking forward to the next one in the series! I just barely got settled onto my reading chaise for the evening & started reading a few pages of Luciana's first chapter when I perked up instead of relaxing further, because Luciana definitely doesn't skimp on historical or visual details wherever she can input them to further aid the reader's immersion into her creative body of work. You get to know each & every character on a personal level, yet not enough to out-guess them, or know their every thoughts. There's still enough wonder &a I just barely got settled onto my reading chaise for the evening & started reading a few pages of Luciana's first chapter when I perked up instead of relaxing further, because Luciana definitely doesn't skimp on historical or visual details wherever she can input them to further aid the reader's immersion into her creative body of work. You get to know each & every character on a personal level, yet not enough to out-guess them, or know their every thoughts. There's still enough wonder & mystery to make you worry who's going to stick around, do the right thing, do the wrong thing, or maybe bail. Humanity is still always unpredictable. Evan Chronis is an architect suffering from a lack of sleep due to realistic dreams. Then one day, he receives a phone call at work that changes his life forever. Whisked away by Zeus, Evan is introduced to the Gods and learns that his life is not what it seems. Desperate to get back to normalcy, he must first perform a task in order to save the Gods. Evan travels through time and sets course on an adventure worthy of any Greek Hero, but will his life end before he can accept what is happening? T Evan Chronis is an architect suffering from a lack of sleep due to realistic dreams. Then one day, he receives a phone call at work that changes his life forever. Whisked away by Zeus, Evan is introduced to the Gods and learns that his life is not what it seems. Desperate to get back to normalcy, he must first perform a task in order to save the Gods. Evan travels through time and sets course on an adventure worthy of any Greek Hero, but will his life end before he can accept what is happening? This story is very different from Luciana Cavallaro’s other work. This book sets the course for a promising series that combines numerous myths into one epic journey. The beginning is a bit slow, but soon readers will be swept up in the fast-paced, ancient times of the Gods. Fans of mythology and adventure books will want to take note of this author. The author provided a copy of this book in exchange for an honest review. This review was originally posted on the Ariesgrl Book Reviews website. She has spent many lessons promoting l Historical fiction novelist and a secondary teacher, Luciana Cavallaro, likes to meander between contemporary life to the realms of mythology and history. Luciana has always been interested in Mythology and Ancient History but her passion wasn’t realised until seeing the Colosseum and the Roman Forum. From then on, she was inspired to write Historical Fantasy.